Narrative: This chart outlines the links between the English Royal Family and all of the other Crowned Heads of Europe. 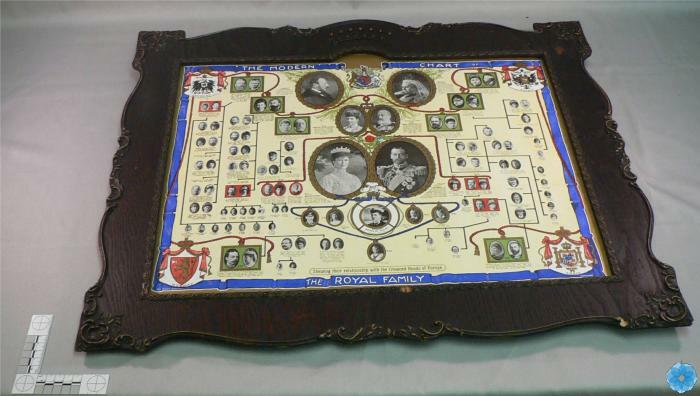 Description: A chart depicting the English Royal Family with photographs of the family members. The chart is framed in a dark wooden frame with carved, embellished edges.